Nov 21 Waters Garden Newsletter with updates from Pete Leki and Julie Peterson about the garden and how the siting of the new building will affect it. Oct 22, 2018 Alderman Pawar has spoken with the ecology staff (Mr Leki and Ms. Peterson) and invited us to be at this initial stakeholders meeting. We have shared with Ald. Pawar and the community this map and key to the school gardens. "the south end of the school grounds — where the Bur Oaks and native plant garden is located — will no longer be considered as a potential site for the new annex. This option is considered “off the table.”"
In addition, we will meet with key stakeholders to discuss other site options, space and programmatic needs. Following that, a public meeting will be announced. 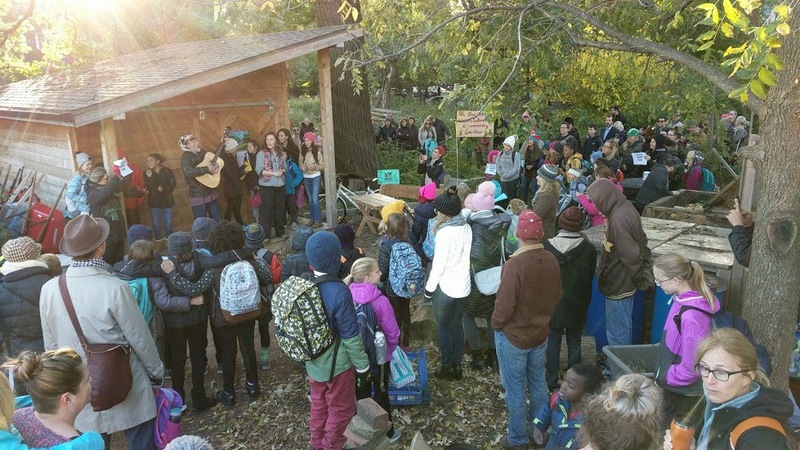 and the later NBC update School Garden Controversy Draws Protests (interview with Julie Peterson and others) Here’s the link to the combined piece, which has additional text and both videos. Oct 17, 2018 CBS: CPS plans to demolish an old urban garden in Lincoln Square as part of its capital project.